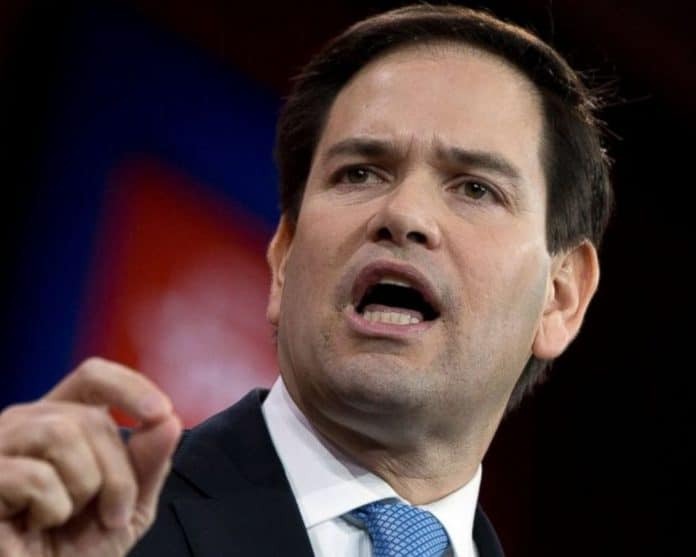 From his perch on the U.S. Senate Foreign Affairs Committee, this week U.S. Sen. Marco Rubio led the charge on Capitol Hill to condemn recent attacks against Ukrainian vessels in the Kerch Strait by Russia. Rubio teamed up with U.S. Sens. John Barrasso, R-Wy., Tom Cotton, R-Ark., Ron Johnson, R-Wisc., Chris Murphy, D-Ct., and Rob Portman, R-Ohio, in bringing out a resolution condemning the attacks and calling for the release of Ukrainian sailors. In the preamble to the resolution, the senators rip the Putin regime’s policies with the Ukraine in detailed terms. (6) reaffirms the unwavering support of the people and the Government of the United States for the people of Ukraine and Ukraine’s territorial integrity. (7) calls upon the President and the entire Administration to implement an all of government approach to forcefully express opposition to the Russian Federation’s November 25, 2018 attack on Ukrainian forces at every opportunity. President Donald Trump was expected to meet Russian leader Vladimir Putin on Saturday at the Group of 20 summit in Argentina but on Thursday it was announced the meeting was cancelled.